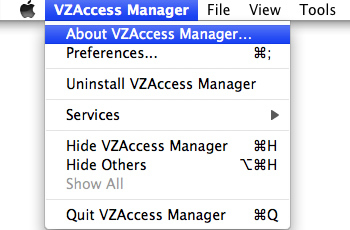 From Menu Bar, click: VZAccess Manager > About VZAccess Manager. The information displayed varies by device. Refer to Determining signal type / strength for additional assistance.